Trump on Sunday continued to rail against the Mueller investigation, which he has labeled a "witch hunt"
President Donald Trump speaks to members of the media before boarding Marine One on the South Lawn of the White House in Washington, Friday, Aug. 17, 2018, for a short trip to Andrews Air Force Base, Md., and then on to Southampton, N.Y., for a fundraiser. President Donald Trump insisted Sunday that his White House counsel isn't a "RAT" like the Watergate-era White House attorney who turned on Richard Nixon, and he blasted the ongoing Russia investigation as "McCarthyism." 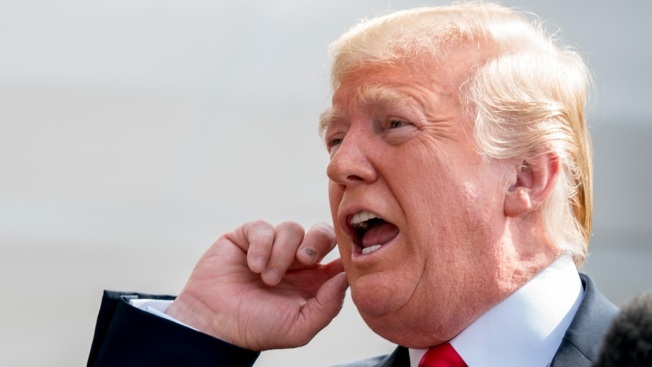 "The failing @nytimes wrote a Fake piece today implying that because White House Councel Don McGahn was giving hours of testimony to the Special Councel, he must be a John Dean type 'RAT,'" Trump wrote, misspelling the word "counsel," as he often does. "But I allowed him and all others to testify - I didn't have to. 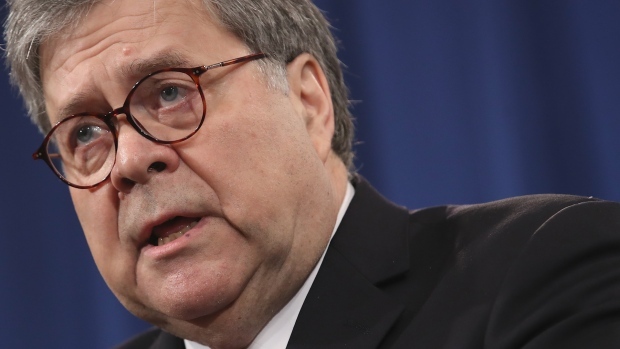 I have nothing to hide......"
He added Sunday in response to Trump's tweets that he doubts the president has "ANY IDEA what McGahn has told Mueller. Also, Nixon knew I was meeting with prosecutors, b/c I told him. However, he didn't think I would tell them the truth!" "It's somebody's version of the truth, not the truth," he said, telling NBC's Chuck Todd: "Truth isn't truth." Todd appeared flummoxed by the comment, responding: "This is going to become a bad meme."